There are some places that you can send emails out from DeskManager directly. Below are the instructions for sending things from your Google Gmail account. Please note that you will not receive anything into DeskManager from your email, you will only be able to email out certain items from within DeskManager. First you will start by clicking File and then Setup. Next click Company Profile and then double click on your company on the right hand side. Under the email information section you will need to put your full email address in both the Email Address and Logon User Name fields. 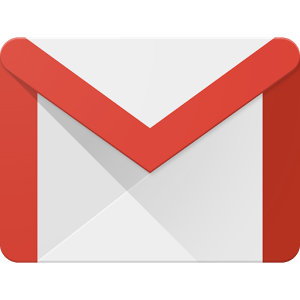 For the Outgoing Mail Server, you will type “smtp.gmail.com” (without the quotes). For the Logon Password you will put your Gmail password. You will set the Mail Port to 465 and make sure you click the checkbox next to where it says This server requires an encrypted connection (SSL). When you are finished, click the Test Email button. If you get the message below saying “Email through DeskManager has been tested successfully,” then you have correctly configured your Gmail account to work with DeskManager. If you have configured it incorrectly, DeskManager will do its best to tell you how to solve the problem. Once you have your email correctly configured in DeskManager, you can email anything that has the option to be emailed. When you click Email, you can tell DeskManager where to email the form. (If you already have your customer’s email address in the deal, it will pull that email address, but you can always change it.) You can also change the subject of the email. If you’d like to include an additional message, you can do so in the text box. Once you’re ready to send the email to your customer, click Send.